He surprised them with a Kung Pu Panda 2 Blu-ray/DVD pack. Cool! The surprise Mr. Hong has for the children in the video is a Kung Fu Panda 2 dvd. My favorite character is Po the panda. Kung Fu Panda 2 on blu ray!! The suprise is the Kung Fu Panda 2 DVD in Bluray. The surprise was a Blu ray and DVD set of Kung fu Panda 2 in HD. Has to be Po, I think he’s based on my Husband! the surprise for the children was a blue ray dvd digital copy of Kung Fu Panda 2 . I like Po very much. Mr. Hong has a Blu-Ray DVD of Kung Fu Panda 2. The surprise is the release of kung fu panda 2 on bluray. My favorite character is PO. My favorite character would have to be Mantis, small but quick. He has a Kung Fu Panda 2 blue ray dvd. The surprise is Kung Fu Panda 2 DVD. Why PO is definitely the favorite character. My favorite character is Master Crane. A Kung Foo Panda 2 blu-ray dvd. This’d make an excellent gift for “him”! How can you not like Po? He is my favorite by far. Mr. Hong surprise is that Kung Fu Panda 2 is being released on Blu-ray. Thanks for the giveaway!! 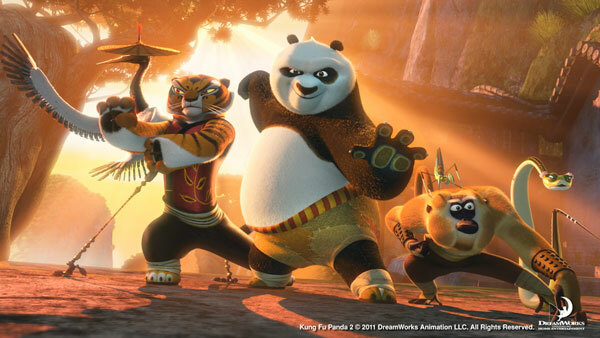 The surprise is Kung Fu Panda 2 coming out on DVD and Blue Ray. Kung Fu Panda 2 on blu-ray and tru dolby sound. Kung Fu Panda 2 DVD blueray. Kung Fu Panda 2 is on Blu-ray w/dolby. He has the Kung Fu Panda 2 Blu-Ray as the surprise.